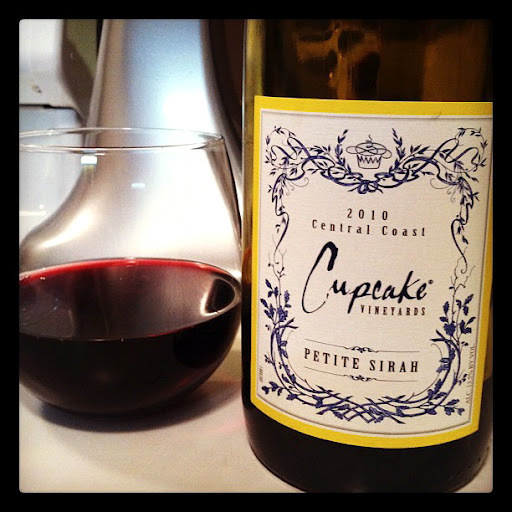 I opted for a much more budget friendly bottle of Cupcake Petite Sirah. This is a wine that I make sure I always have in my wine bar cabinet. It works for any occasion…hipster friends to occasional wine drinkers to the IPA crowd. It’s soft, smooth and fruity with flavors of blueberry and raspberry, and it finishes off with just the littlest bit of chocolatety espresso velvet. I have the teeniest complaint that I feel obligated to convey, and that is the element of spice is lacking. But for the price point, jammy, fruity enthusiasm and straightforward drinkability, I’m not going to complain. In fact, if you’re not careful, you’ll wind up with an empty bottle much quicker than you would expect. Delightfully similiar to the 2009 vintage, with some enhanced bitter dark chocolate notes and traces of pink peppercorn on the finish. This picture is beautiful – it makes me want to immediately go out and buy this wine. thanks! your cousin said it was too dark haha. 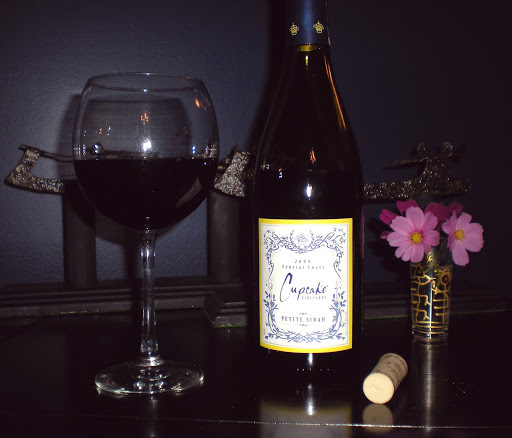 o good, i really do love this wine, especially for $10!! !